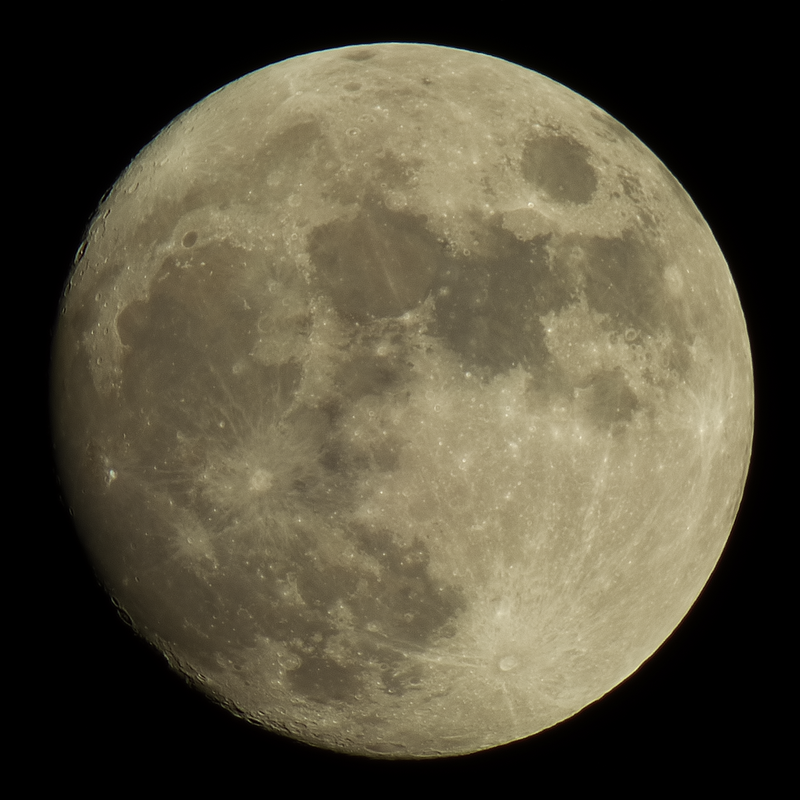 A tripod mounted Panasonic Lumix DMC-FZ72 bridge camera at 60x optical zoom was used to image the 98% waxing, gibbous Moon. The camera was set to burst mode, ISO-100 and 1/320s exposure at f/5.9. Images were captured in bursts of three. 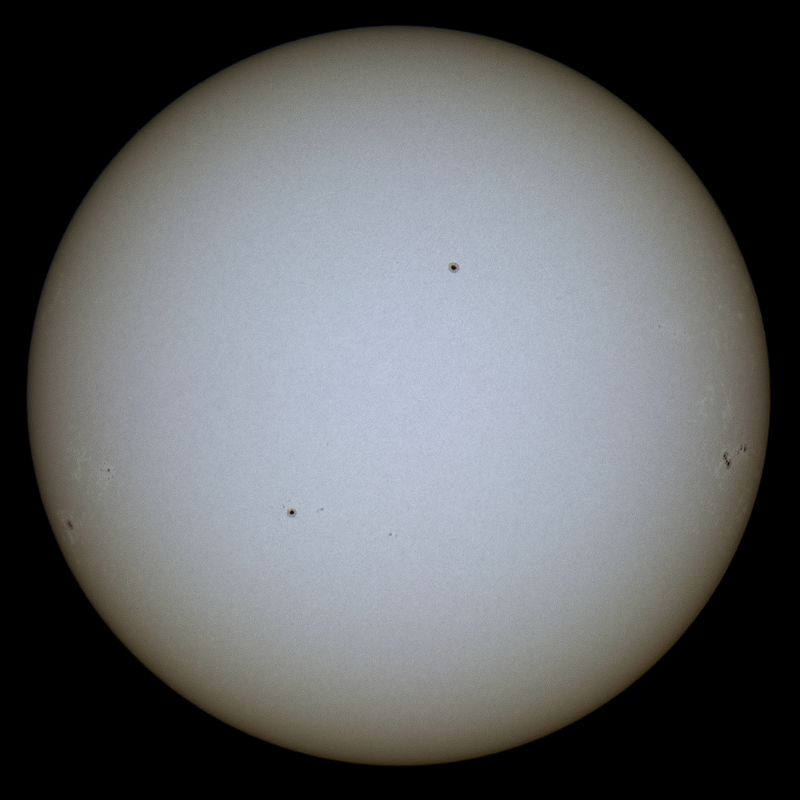 60 images, precisely cropped in Nicola Mackin's AstroCrop software, were stacked in Registax 6. Click on the image to get a larger view. Supernova SN 2014J was discovered in M82 on Jan 21, 2014. Two images of M82 were captured using a Canon EOS 70D DSLR camera with a Skywatcher 200p Newtonian. images were calibrated with dark and flat frames in Deep Sky Stacker. 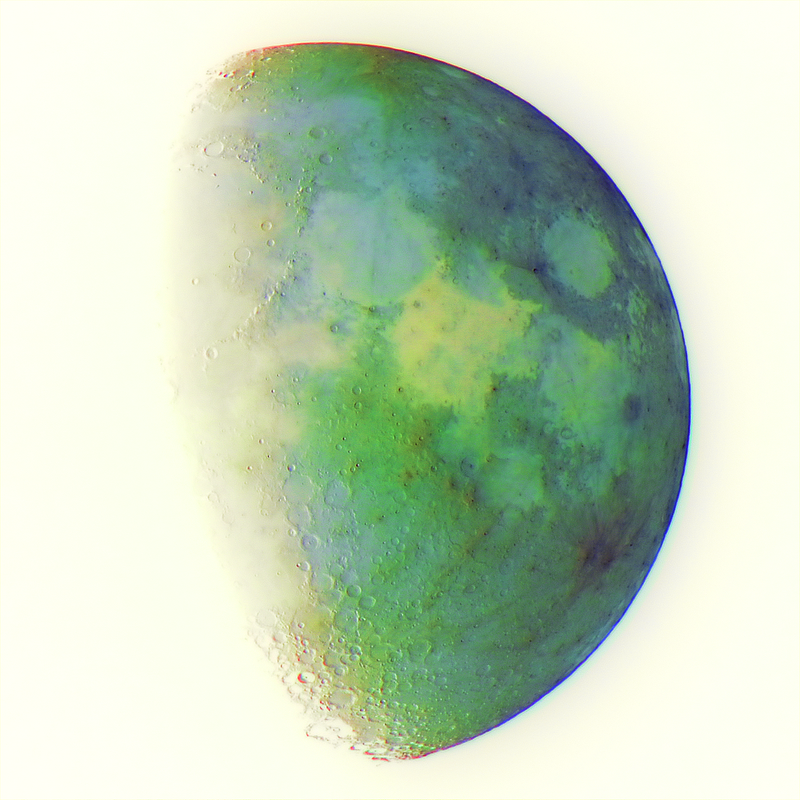 Nebulosity was used to 'stretch' the stacked images which were then loaded as layers into Gimp 2. The orientation of each layer was adjusted to obtain a match and the result was saved as an animated GIF. 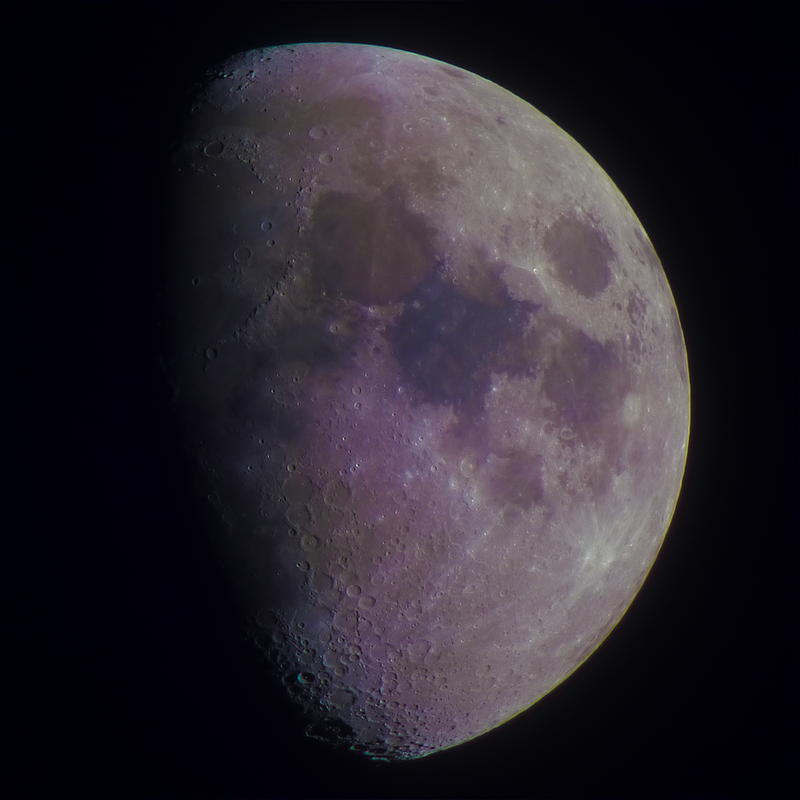 A tripod mounted Panasonic Lumix DMC-FZ72 bridge camera at 60x optical zoom was used to image the 71% waxing, gibbous Moon. The camera was set to burst mode, ISO-100 and 1/320s exposure at f/5.9. Images were captured in bursts of three. 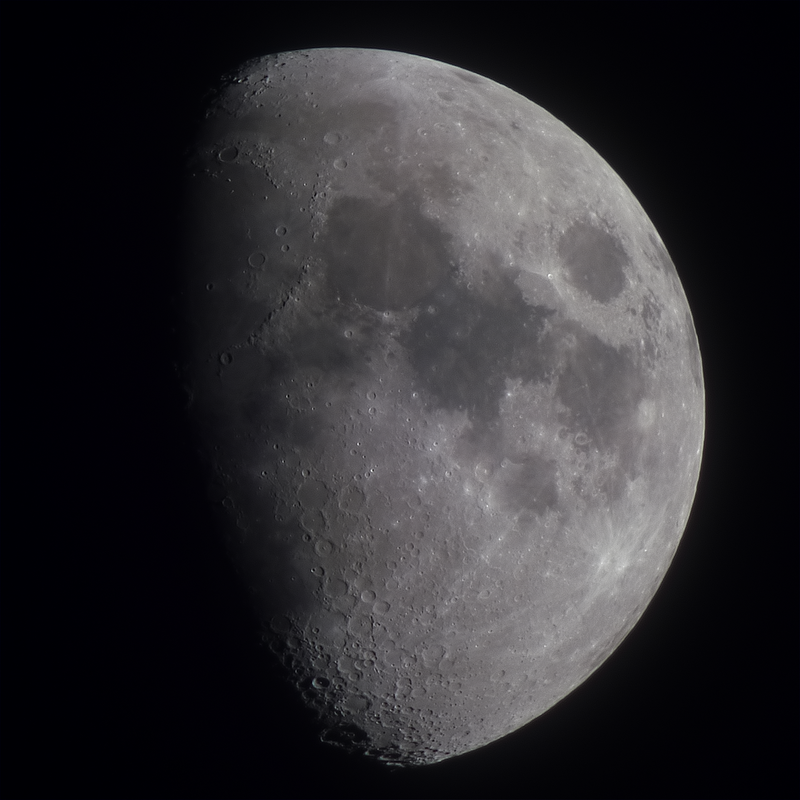 57 images were stacked in Registax 6. Click on the image to get a larger view. The images were captured at dusk and the sky glow is evident in this image. A tripod mounted Panasonic Lumix DMC-FZ72 bridge camera at 60x optical zoom was used to image the 60% full Moon. The camera was set to burst mode, ISO-100 and 1/250s exposure at f/5.9. Images were captured in bursts of three. 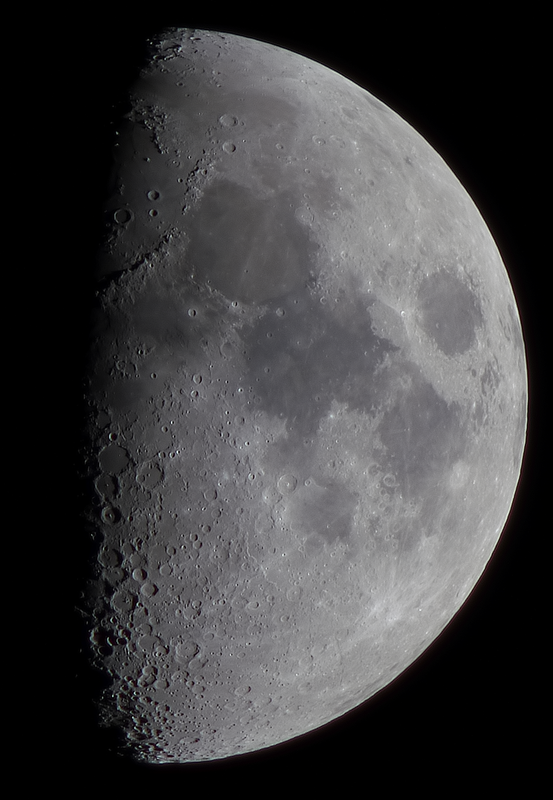 57 images were stacked in Registax 6. Click on the image to get a larger view. 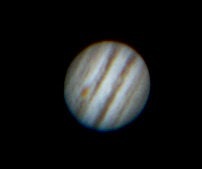 Jupiter was imaged using a CCD Solar System Imager TS Astro Webcam -MA Planetary Imager with a 2.5x Barlow, a Skywatcher 200p Newtonian on an EQ5 mount. 150 of 5557 frames were stacked in Registax. 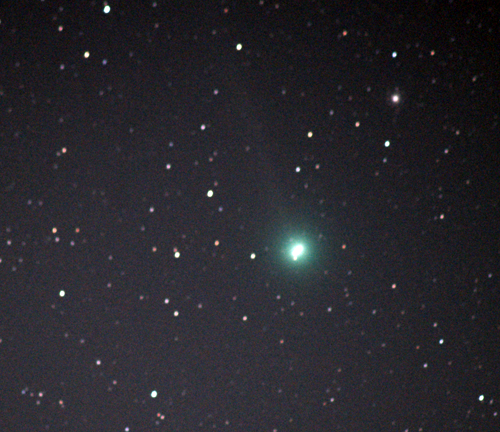 There was a 50% full Moon making the sky glow but some comet tail is visible in this image. Sandra Stewart reported observing the comet in binoculars tonight. A tripod mounted Panasonic Lumix DMC-FZ72 bridge camera at 60x optical zoom was used to image the 50% full Moon. The camera was set to burst mode, ISO-100 and 1/250s exposure at f/5.9. Images were captured in bursts of three. 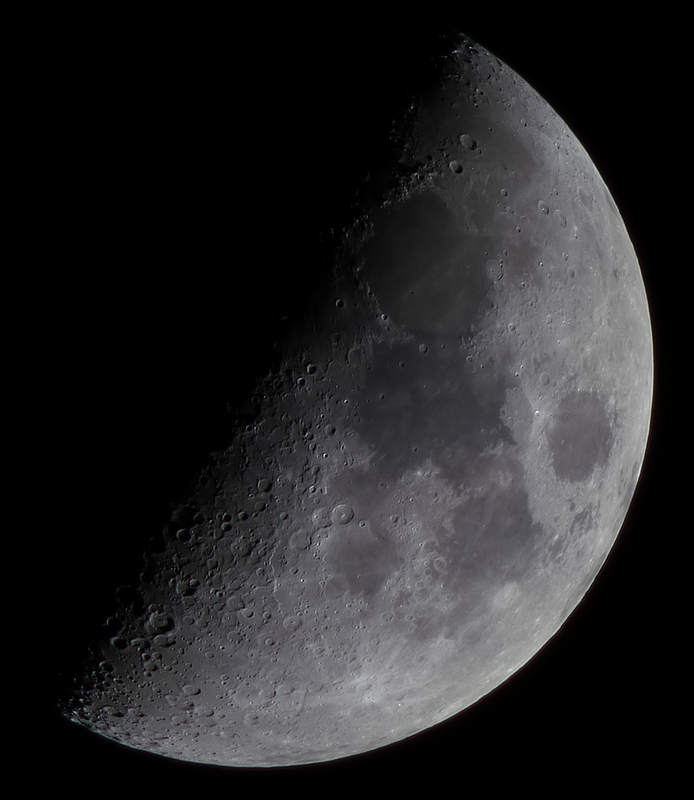 57 images were stacked in Registax 6. Click on the image to get a larger view.